distribution Primarily the southern Coastal Plain, including the Sandhills region, as well as the southern mountains. Otherwise, widely scattered over the state, though mainly in the southern part of the state. There are no records yet for the central and northern mountains, nearly all of the Piedmont, and nearly all of the northern Coastal Plain. A photo from Tyrrell County in 2014 filled in a large gap in the range in the eastern part of the state. abundance Oddly geographically bimodal, being more numerous in the Coastal Plain and the southern mountains than in the Piedmont. Uncommon to fairly common (at least locally) in the Sandhills and in the southern mountains. Very rare to rare elsewhere, mainly in the southern Coastal Plain east of the Sandhills. flight The Coastal Plain records fall from early May to late September, whereas those from the mountains are from early June to late August. The very few (three) records from the Piedmont are confined from early June to early July, though certainly the flight is much wider than this. Most of the flight is finished by the end of July. habitat Typically where sphagnum moss is present around seeps and other boggy spots, such as some pond margins. comments Because of the sparse array of county records across much of the state, range maps in reference books tend to incorrectly show all of NC within the range of the species, which is more common in states to our north than to our south. 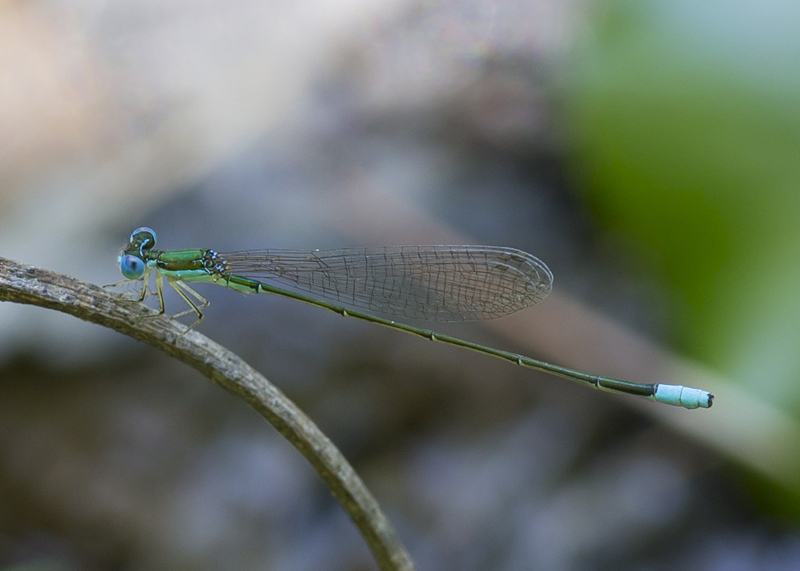 Though not one of our rarest damselflies, it is one of our rarest away from its Sandhills stronghold.